Your company may have an “IT Guy”, but more than likely, you are only using him when things go wrong. That is the normal approach to IT, sometimes called the “break-fix” approach (when something breaks, fix it). The break-fix approach to IT often results in costs similar to being on a roller coaster; one month you pay very little, the next month, your server crashes and you’re paying thousands. There’s a new approach to IT. One that can help you get off the IT roller coaster. It’s called managed IT services. The managed services approach to IT is a proactive approach, meaning that your IT guy will do updates and procedures to help eliminate problems from happening. They’ll spot small problems before they turn into big, costly ones. In the end, you’re saving money and getting piece of mind. There are several other benefits of a managed IT approach. One biggie is that your company will generally have newer, equipment. With the break-fix approach, upgrades don’t generally happen unless the old machine is broken. Older machines are slower working, can have difficulty with upgrades and are more likely to break down. With managed IT, you’ll be getting equipment upgrades and updates regularly, which eliminate a lot of those problems. There is also a lot less unscheduled downtime with managed IT services. With break-fix, you are generally down because something went wrong. Depending on what the problem is, it could be minutes or days until you are back up. With a managed solution, downtime is generally scheduled and done at a time when it won’t affect you running your business. These are just a few of the benefits that managed IT services can bring to your business. 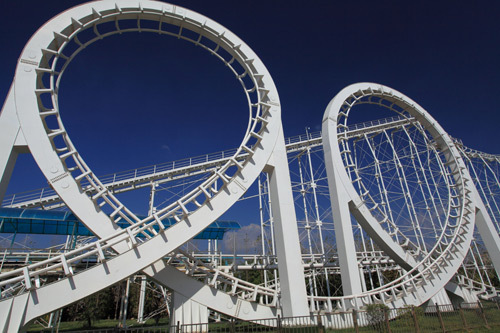 If you’re ready to get off the IT roller coaster, choose a managed solution from ACF Consulting. Contact us today to learn more.